mezza9 is the city’s most stylish venue for a sumptuous Sunday Brunch, featuring sustainable delights and endless Perrier Jouët Grand Brut champagne. At Grand Hyatt Singapore, the guiding food philosophy is simple: to provide high-quality food using environmentally-friendly practices. 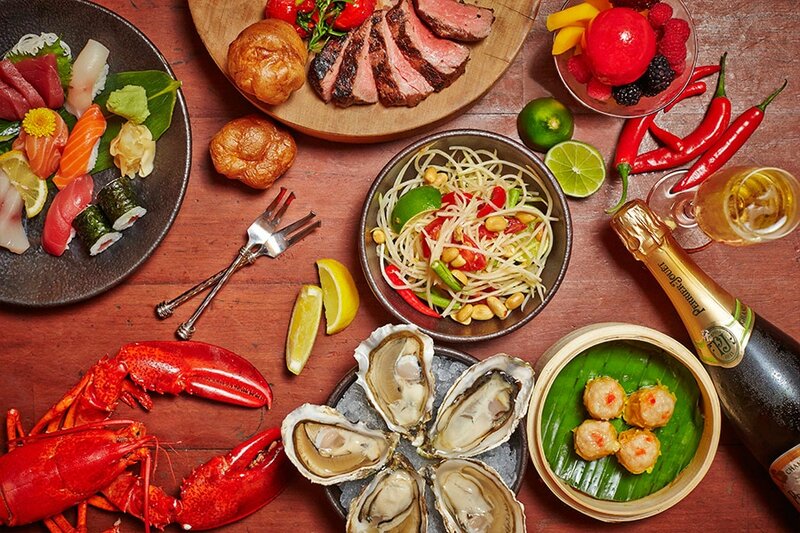 Awarded top certifications in line with global standards for sourcing its food in a sustainable way, mezza9 offers a variety of healthy food choices, alongside a lush selection of Maine lobsters, Scottish brown crabs, Spencer Gulf king prawns and Pacific oysters for your indulgence. Soak in the lively atmosphere of this dynamic restaurant as you enjoy nine different dining experiences all in one venue. *For an additional S$40++ per person, adults can enjoy free-flowing Perrier-Jouet Grand Brut Champagne, certified sustainable red and white wines, hand-crafted gin and tonics, selection of martinis and Tiger beer. *For an additional S$60++ per person, adults can enjoy free-flowing Perrier-Jouet Blason Rosé Champagne, certified sustainable red and white wines, hand-crafted gin and tonics, selection of martinis and Tiger beer. Members enjoy regular Club at the Hyatt discounts of up to 50% off at mezza9. Not a member yet? Click here to join us now! For instant reservations, please click on the RESERVE A TABLE button. Should you have any enquiries, please contact us at mezza9.sg@hyatt.com or call +65 6732 1234. Please note that all prices are subject to 10% service charge and prevailing government taxes. Prices quoted are correct at the time of publishing but are subject to change.